Scuba 3 - Underwater Navigation, Search and Recovery, Deep, and DAN Dive Medicine for Divers. Note that Rescue Diver, current CPR/First Aid certification, and 20 logged dives are prerequisites for Scuba 3. If you complete the GT Scuba course sequence above -- including the associated open water certification dives -- and log 50 dives you will qualify for the PADI Master Scuba Diver rating and be exceptionally well-prepared for Divemaster training. I teach through Georgia Tech Scuba and The Dive Shop in Marietta. All courses except Nitrox include knowledge development, pool training, and open water certification dives that are completed on a trip. 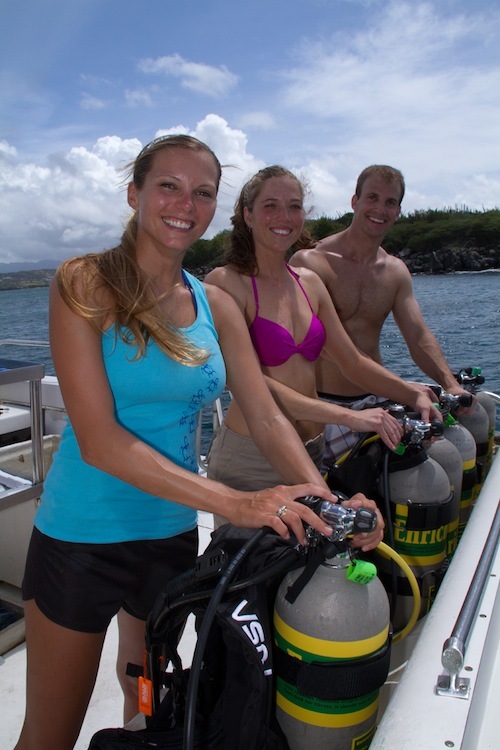 Introductory courses give you a chance to try out dive training. Don't know if scuba is for you? Apprehensive about breathing underwater? 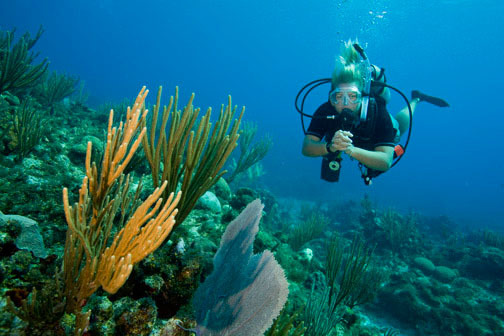 Discover Scuba Diving offers an opportunity to try scuba diving in a fun and relaxed atmosphere. You'll get to feel what it's like to wear scuba equipment and breath underwater before committing to a full Open Water Diver course. I'm pretty sure you'll want to pursue your Open Water Diver certification after tyring scuba diving, but if you decide scuba diving isn't for you then you've only committed a couple of hours to finding out for sure. If you do sign up for the Open Water Diver course your Discover Scuba Diving payment is applied the Open Water Diver price. In the Skin Diver course you learn how to use a mask, snorkel, fins, and buoyancy compensator device to swim on the surface and make dives below the surface. You learn how to check your buouancy, prepare for descent, equalize your ears on descent, clear water out of your snorkel on ascent, and use buddy procedures to make your dives safe and fun. Skin diver is perfect for people who know they don't want to scuba dive but still want to enjoy the ocean. Taking a skin diver course before going on a cruise or snorkeling tour can greatly increase your comfort level and enjoyment. 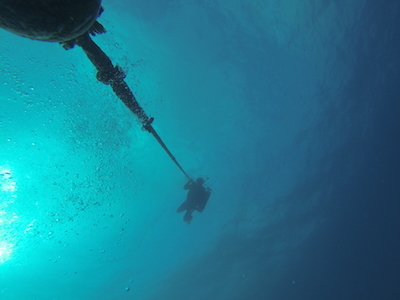 The core sequence takes the student from non-diver to the first professional rating: Divemaster. Open Water Diver is the entry level scuba diving certification, which qualifies you to dive independently with a certified buddy to depths of 60 feet or less in conditions similar to those in which you trained. The Scuba Diver course is a subset of the Open Water course which qualifies you to dive to depths of up to 40 feet and only under the direct supervision of a divemaster or instructor. 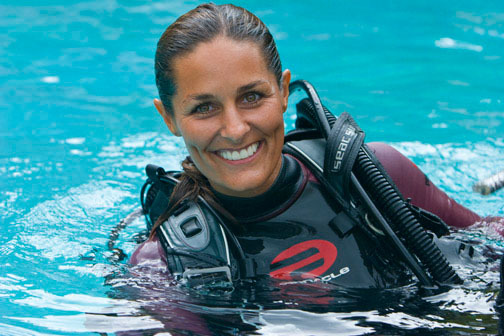 Most divers choose to complete the full Open Water course. I teach this course in six sessions. The first session is a short orientation in which we discuss the course, distribute instructional materials, complete waterskills assessments, and set the schedule for private classes. The next five sessions cover the five sections of knowledge development and confined water (pool) training. These sessions take 3 - 4 hours depending on the number of students. Although mask, snorkel, fins and booties are provided, I highly recommend you purchase these for yourself. Mask, snorkel and fin packages are available through the dive shops I work with at a discount. Scuba Review is for certified divers who haven't been diving in 6 to 12 months, want to become comfortable with new equipment under the guidance of an instructor, want a refresher before embarking on a dive trip, or need to be assessed for training with a new instructor. The Adventures in Diving program gives continuing education divers an opportunity to sample several PADI specialty courses. If you complete three different adventure dives you earn the PADI Adventure Diver rating. If you complete five adventure dives that include the Deep and Navigation dives you earn the PADI Advanced Open Water rating. Each adventure dive counts as the first dive of the corresponding specialty course if you take the specialty course within 12 months. Most divers earn the Advanced Open Water rating, which is requried by many dive charters that visit more challenging dive sites such as deep sites. Although only self-study and the certification dives are required for Advanced Open Water certification, I teach two sessions of knowledge development and pool training prior to the certification dives. I believe it is important for you to have time with your instructor to ask questions and practice skills in a pool before going into open water. On the surface we will practice compass navigation and search patterns. In the pool we will fine tune your buoyancy, trim and kicks, and pracice using lights, lines, lift bags, and deploying surface marker buoys from depth. Although the elective adventure dives are up to you I strongly recommend that you do Peak Performance Buoyancy, Night, and Search and Recovery. I will also teach you boat and drift diving principles at no extra charge since you will most likely use boat and drift skills on your certification dives. I can add a Peak Performance Buoyancy specialty certification for $50, which only requires one additional open water training dive beyond the AOW dives if one of the AOW dives was the Peak Performance Buoyancy adventure dive. My advanced trips are designed to accomodate this addition. The Emergency First Response course is not specific to scuba diving. EFR teaches basic life support skills that everyone should know, including CPR, AED (Automated External Defibrilator) use, and basic first aid for a variety of injuries. EFR, or an equivalent course, is also a pre-requisite for the Rescue Diver course. In the Rescue Diver course you develop the knowledge, skills, and awareness to recognize, prevent, and respond to problems in yourself and others. The Rescue Diver course dramatically improves your dive skills, your awareness of other divers, and generally makes you a better dive buddy. Most consider Rescue Diver to be the most challenging and rewarding course recreational scuba divers take. Every diver should take the Rescue Diver course. Divemaster is the first professional rating. Divemasters lead certified divers, assist instructors in dive training, teach certain specialties to certified divers and, with additional training, teach the Discover Scuba Diving course. Divemaster training is a huge commitment, but the rewards for those who seek a professional path in scuba diving are great. Specialty courses develop your skills as a diver and enrich your knowledge of the aquatic world. You can earn the Master Scuba Diver rating by completing the Advanced Open Water, Rescue, and five Specialty courses. As you become more comfortable through experience and continuing dive education you use less air while you dive and your bottom times are increasingly limited by no-decompresion limits instead of air consumption. At this point it's time to start diving with enriched air, also called nitrox. Enriched air is normal air to which oxygen has been added to displace some of the nitrogen. This enriched lower-nitrogen gas mixture affords longer no-decompression limits. The Enriched Air Diver course teaches you the basic theory of enriched air diving, how to plan and execute enriched air dives, and how to manage the risks associated with increased oxygen partial pressures. After completing the Enriched Air Diver course you will be certified to dive with enriched air mixtures up to 40% oxygen. The Enriched Air Diver course can be added to the Advanced Open Water course for $50. Two skills mark a good diver more than any other: buoyancy control and navigation. The Peak Performance Buoyancy course teaches you the skills to control your position and attitude in the water in a variety of situations. Buoyancy control is a prerequisite for all other dive skills, from underwater photography to search and recovery. Although only self-study and the certification dives are required for Peak Performance Buoyancy, I include classroom instruction and conduct a buoyancy workshop in the pool prior to the certification dives. If you are doing the Advanced Open Water course and including the Peak Performance Buoyancy adventure dive, the Peak Performance Buoyancy specialty can be added for $50 and only requires one additional open water dive. Underwater navigation is one of the two core dives in the Advanced Opwn Water program for good reason: underwater navigation skills are essential for any diver who wants to dive independently. Being proficient in underwater navigation means being able to find your favorite dive spot and find your way safely back to the boat or shore. In the Underwater Navigator course you'll learn that and more: natural and compass navigation, marking and relocating submerged objects, and underwater mapping. Many of the coolest dive sites -- wrecks, walls, sites inhabited by exciting marine life -- are deep dives, that is, deeper than 60 feet. While exciting and fun, deep diving carries additional planning and equipment considerations, and special procedures to ensure safety. In the Deep Diver course you'll learn about physiological and environmental effects of deep diving and how to deal with them, breathing gas planning and management, emergency air procedures, and deep diving techniques. The value of search and recovery skills is obvious to anyone who has ever dropped their wallet overboard on a boat or returned from a dive without their camera. What may be less obvious is that Search and Recovery training builds skills that are important in other course -- like search patterns -- and incorprates many skills learned in outher courses, like buoyancy control, buddy procedures, and dive planning. For this reason the Search and Recovery specialty -- along with Deep Diver -- is highly recommended for Divemaster candidates. Aside from all that, Search and Recovery is fun! You get to fund stuff underwater and play with toys like marker buoys and lift bags. The reefs and wrecks you dive during the day transform themselves at night. Fish that were dormant during the day come alive, others bed down for the night. The way you dive at night the same as during the day, with some additional equipment and dive techniques. In the Night Diver course you'll learn how to use and care for dive lights, hone your night and low-visibility navigation skills, learn how to communicate at night, learn about changes in aquatic life at night, and gain comfort and confidence in night and low-visibility conditions. 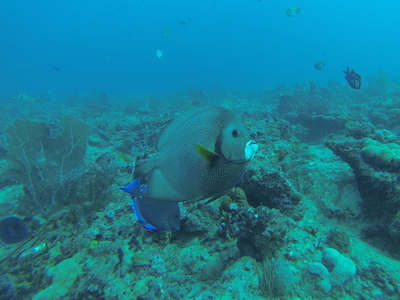 The AWARE Fish ID course uses materials from the REEF Foundation and prepares divers to take part in fish surveys. More importantly, the Fish ID course makes your diving more enjoyable because it greatly increases your awareness, knowledge, and appreciation of the aquatic animals you see on your dives. 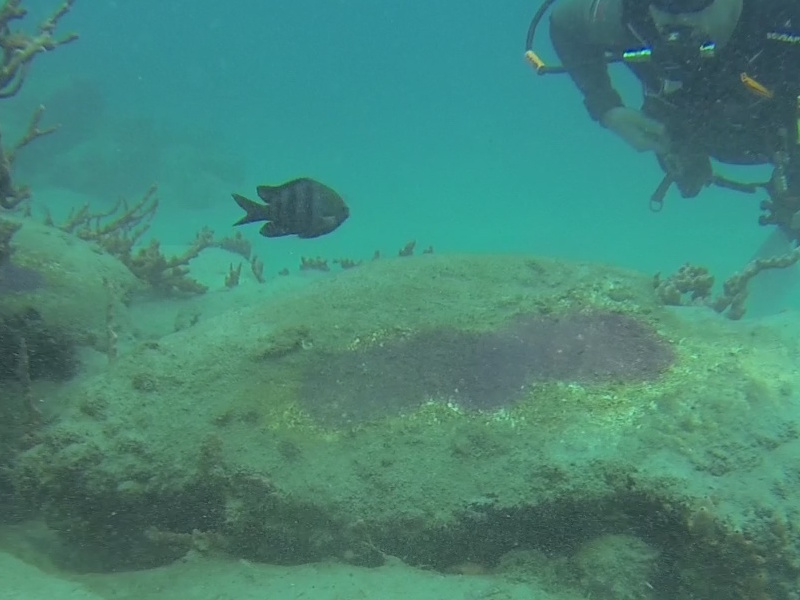 In the Underwater Naturalist course you'll dive more deeply (no pun intended!) into the world of aquatic animals, also learn about underwater plant life, and gain a broader understanding of underwater ecology. Underwater Naturalist and Fish Identification are great specialties to do together because they complement and support each other. You may be suprised at how much more you enjoy your dives after you learn more about the world you enter each time you splash into the ocean!